When was the last time you were focused in your prayers? 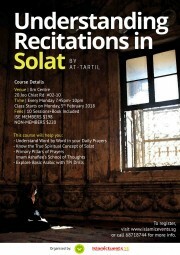 Have you ever wondered what is the meaning in the doa Iftitah or the various zikrs in the solat? 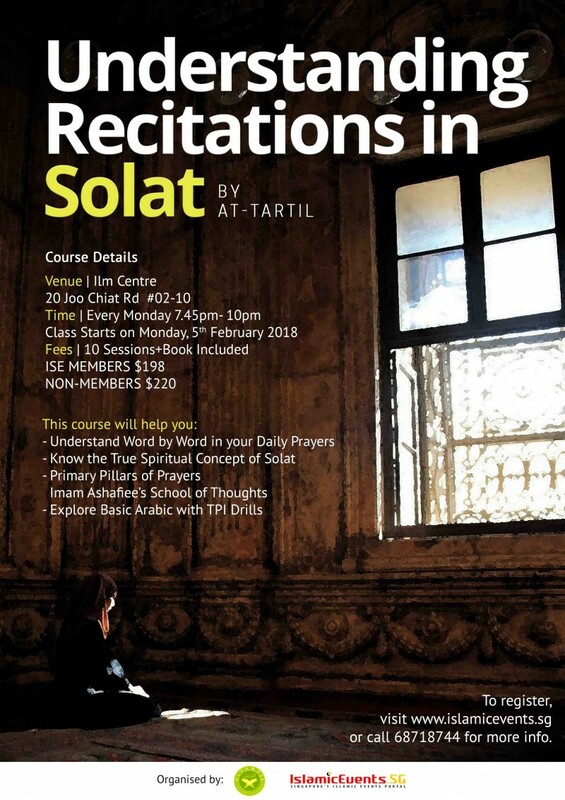 Do you want to improve on your solat? This program is run by an experienced trainers from AtTartil that have run this course for hundreds of students throughout the years. AtTartil is led by Ustaz Zulkiflee Bachik. * Course will be taught in English. * This class is suitable for 13 years old and above. Not an ISE Member yet? * Class is limited to 60 pax. * Price inclusive of notes & certificate of participation. 1) Full payment/deposit are to be made before course starts. 2) No refunds for student backing out of the course. 3) Students will be provided with notes. 4) Students are to attend classes punctually and inform teacher in charge if not able to attend. More information will be given on the 1st day of class. - Please call 9231 7430 to arrange an appointment for payments.